The secret to successful betting is cutting out the losers. If you have patience and wait for the outstanding, clear top rated selections then you’ll be richly rewarded. Taking note of the winning percentages. The Total Rating figure is the main figure to concentrate on. If you wait for the top rated selections that are clear top rated for all 3 then you have a good potential winning selection (or place depending on the price). Ones that have a good difference in their ratings from the next best rating have an even greater chance.Smart Members are provided with all selections each day that are +39 points clear (Total Rating figures regardless of Last Run & Speed figures) and win around 50% of their races. Depending on the days racing, time of year etc – you might have 3 or 4 selections a day, or 2 to 3 per week. This also depends on what difference/class of race/price and so on that you personally want to wait for. Form = The horses total win and place percentage. (Be wary of maidens that have only ran once for example which will show a good figure if it placed). 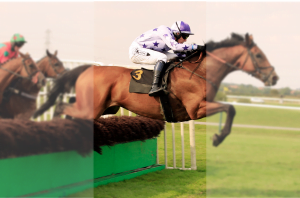 Take note of the tips from our 7 Top Tips For Finding Winners Page. Concentrate on top or 2nd top rated horses that tick all the boxes for the 7 tips in exposed races and you’ll find plenty of decent winners every week!